This book is in Hit Girl Season Two (2019) (MR). 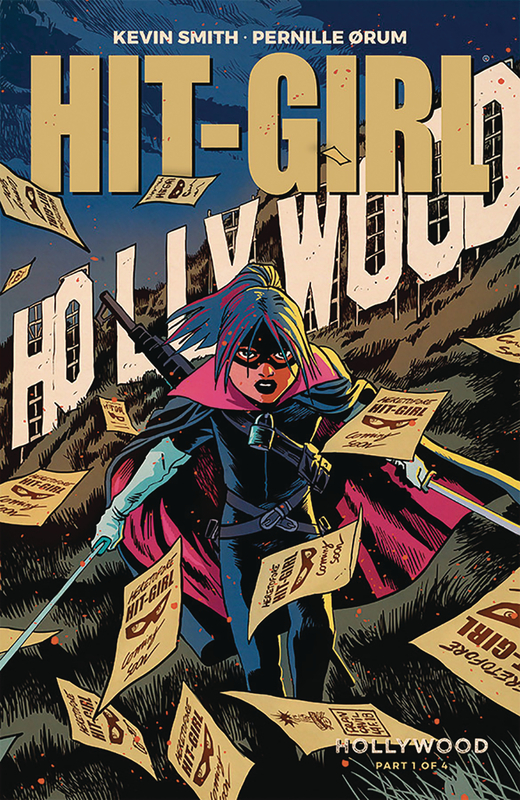 Join film, podcast, and comics legend KEVIN SMITH (Green Arrow, Daredevil) and animation/illustration virtuoso PERNILLE RUM (DC Superhero Girls, Blush, Coral) for the glitz and gore of this all-new chapter of HIT-GIRL! Our favorite adolescent assassin tears Tinsel Town a new one when she realizes her life's being dramatized for the silver screen. Hit-Girl storms sets, wages war on fat-cat movie bosses, and lures old enemies out of hiding in this Californian bloodbath.